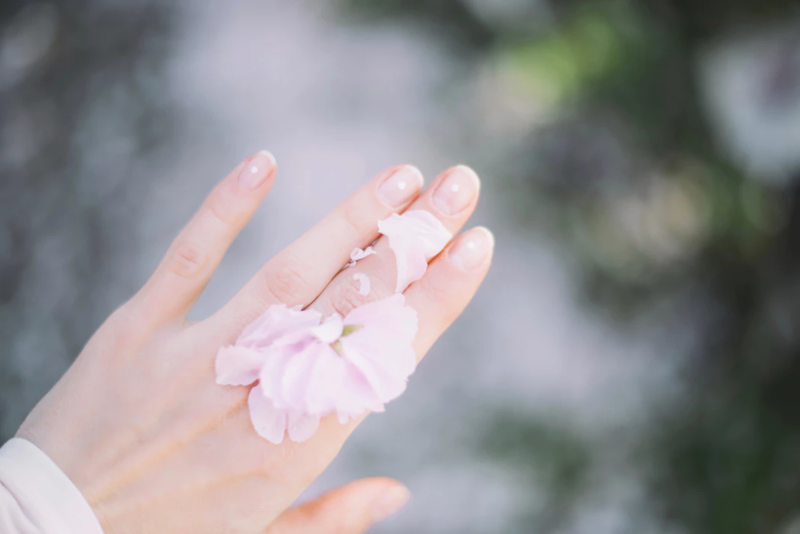 If after a long-term nail extension you find that they become thin, brittle and dehydrated, it is necessary to make a nail procedure with the application of Boost strengthening gel. Coenzyme Q10, keratin, extract of silk and calcium, which are included in the gel, help to align the nail plate, protect it and speed up the regeneration. A transparent, indelible coating is not felt at all on the nails. An ideally flat surface will delight you two or three weeks. At the end of this period, you will need to correct it. A Japanese manicure is a comprehensive approach to the nail plate care system. The first stage of the method is applying a disinfectant formula made of seaweed and beeswax. The second, a mineral paste with keratin, an extract of seaweed and other natural ingredients that contribute to recovery is rubbed in the nail. The third step is applying the final layer which is made of therapeutic polishing powder and beeswax. The main feature of this procedure – it is entirely organic, all its ingredients are rich in vitamins and minerals. And then you can cover your nails with your favorite varnish! An innovative tool for regeneration of the nail plate, in contrast to most strengthening tonics, it penetrates deep into the nail and affects it from the inside. This care system consists of two active components – a serum and a fixer. They are worth using in a pair to maximize the effect. Due to the unique formula, the gel synthesizes with the nail plate and becomes a part of it, providing high-quality protection during the entire treatment. There is one more procedure to straighten nails – using cuticle oil and a hand cream each day. As for me, it became my everyday routine process. And I’m delighted with the result. I boost my nails with a straightening gel every month. It works! Nails become stronger and look healthier after the procedure.